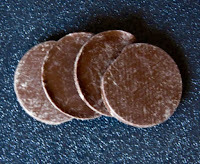 Welcome to Day #5 of Chocolate and Coffee Theme Week. 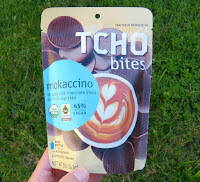 Today's Mokaccino Organic Milk Chocolate Discs from TCHO (Berkeley, CA) were delicious. 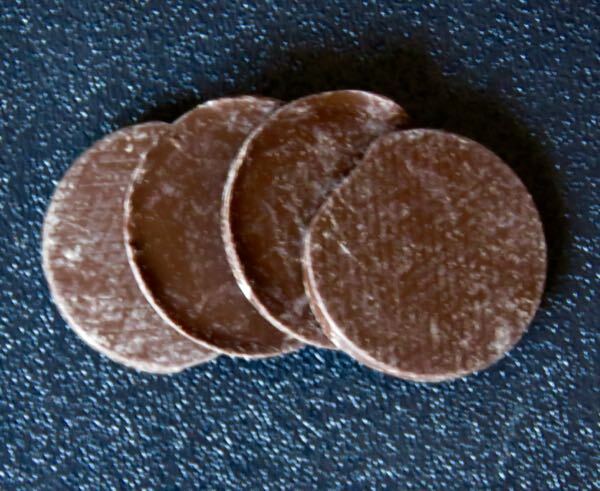 Creamy organic 45% cacao (dark milk) chocolate discs were infused with the bold flavor of Blue Bottle Coffee* espresso roast coffee. This gluten free, Non-GMO Bay Area created blend would be a hit with anyone who enjoys coffee and/or mocha blends.